Xiaomi set to launch a new smartphone called Xiaomi Redmi 4, which is also known as Xiaomi Redmi 4X in China. This phone is said to be launch on the 23rd of May 2017. Xiaomi Redmi 4 has a 5.0 inches touch screen with corning Gorilla Glass protection and also features Multi-touch. Xiaomi Redmi 4 will be coming in three variants, which are the 16 GB, 2 GB RAM / 32 GB, 3 GB RAM / 64 GB, 4 GB RAM. The device is powered by Qualcomm MSM8940 Snapdragon 435 chipsets clocking at 1.4 GHz speed alongside Adreno 505 GPU. Have a look at the rest of the specs as well as the price below. Xiaomi Redmi 4 (4X) specifications. Xiaomi Redmi 4 (4X) release date. 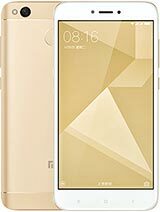 Xiaomi Redmi 4 (4X) price in India, Nigeria, China. Is the 43k the price of the 2gb or 3gb or 4gb ram own? For the 2GB RAM. Other variants prices are not yet available.